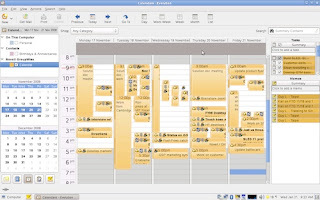 Getting things done (GTD), an organization method created by productivity guru David Allen, has gained a lot of reputation amongst many folks who are enthusiastic about managing their time. The essence of this method is to take the task-taking process out of the mind and onto an external medium like a paper or a text file. 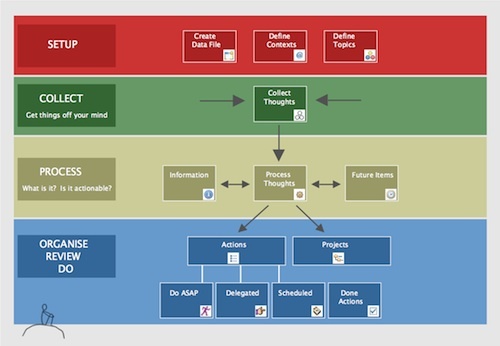 Since its detailed mention in Allen’s bestselling book by the same name, Getting Things Done has been incorporated into many organization web apps and software. 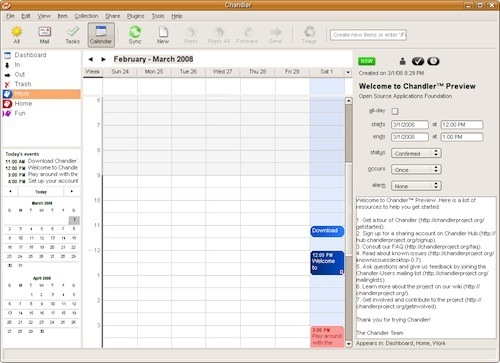 Seriously, no FRIENDS references here -- Chandler is a Python-based, cross-platform calendaring application released under the Apache license. 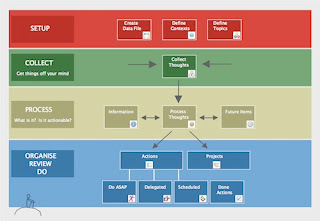 Although Chandler isn’t a full-blown GTD application, it is based on the same principles that are mentioned in David Allen’s book. 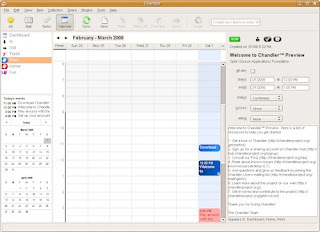 Chandler is basically a PIM application that lets you add notes, todos, meetings and reminders. 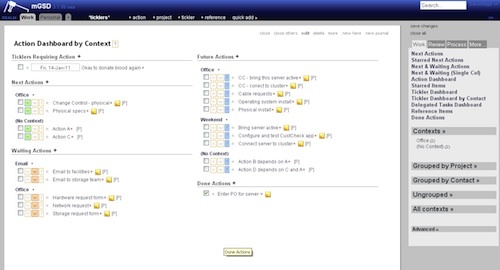 The interface is designed in such a way that you can triage anything you enter based on 3 statuses - Now, Later and Done. You can then set a status to any entry based on your workload. The best thing about Chandler is that it syncs easily with Google Calendar, iCal, Mozilla Sunbird/Lightning and Evolution. If you aren’t a stickler for everything GTD and want something based on the similar principles then Chandler is something you should try. I won’t go into much detail about its features, as there is a nice 3-minute video tour that guides you through everything Chandler has to offer. To download Chandler, go HERE. Tiddlywiki is a single-page wiki application that can be used for various purposes like jotting down notes, collaborating and even writing books. Tiddlywiki can be run locally as well as from a server. There are also web-based versions (Tiddlyspot) of the wiki that provide the same amount of features. However for the web based ones, you’ll have to register, which is free. Based on Tiddlywiki is a powerful GTD system called mGSD. The application can be used offline as well as online (on Tiddlyspot). When you use mGSD offline, you create a file that can be accessed by opening in your favorite browser. We highly recommend that you keep that file backed up. To do that, you can use any of the backup tools we’ve mentioned in this article. The good old Thunderbird coupled with Lightning extension can be used as nifty PIM software. What’s more, you can get all the GTD goodness on Mozilla’s premier messaging application by following this simple tutorial. Evolution, the default mail client for Ubuntu and many other distros can also be used as a GTD client. 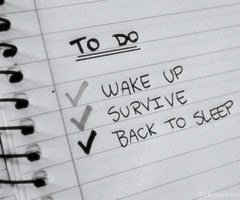 43 Folders site has written a nice tutorial on how to get the best of GTD on Evolution. 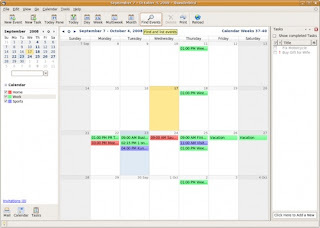 ThinkingRock is a cross-platform software program designed as a supplement to David Allen’s book. It has been written in Java and therefore can be used across all major operating systems including Linux. It provides an interface to input ‘stuff’ or thoughts, and process them into actions, projects, reference items, someday/maybe items or goals. The site provides excellent documentation and demos on how to use the software. ThinkingRock is not free if you want to try the latest version. In other words, any version prior to version 3 is free. Version 3 and further costs $40 for a license, which includes support and software updates for one full year. After that, you’ll have to renew the license by paying $10 per year. To download/buy ThinkingRock, go to their official website HERE. Emacs is well-known for being difficult for new users to get used to. That said, Org, an Emacs mode is a system so simple that even non-programmers might be able to use it everyday without getting RSI. 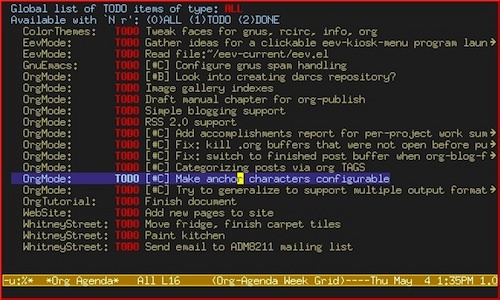 Org mode can be used for making notes, Todo lists, project planning and even writing and authoring books. The system is so easy and powerful to use that it can easily be tweaked to turn it into a full-fledged GTD application. To do that, you may refer to this tutorial that explains everything in detail. Also, as surprising as it may sound to you, Org mode even has an iPhone app that can sync -- via Dropbox and other methods -- with the Org setup on your desktop. If you want to learn/master Org mode first, then I highly recommend you read Sasha Chua’s articles on the same topic. They are easy to follow and implement. And of course, don’t forget to visit Org’s official tutorials. The explanations there are clear and easy to understand, even for new users. The link to the tutorial can be found HERE.